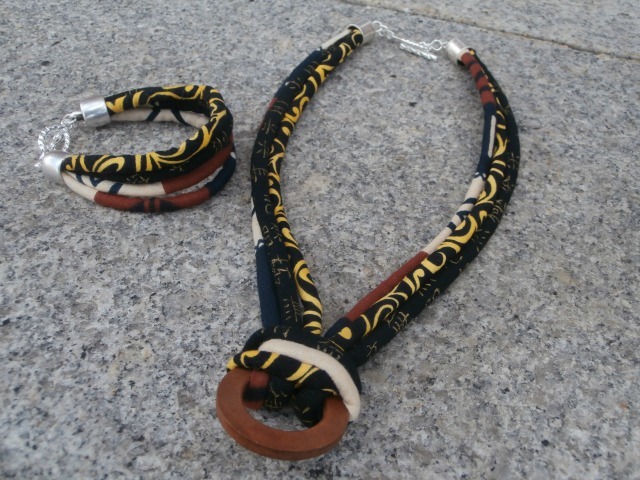 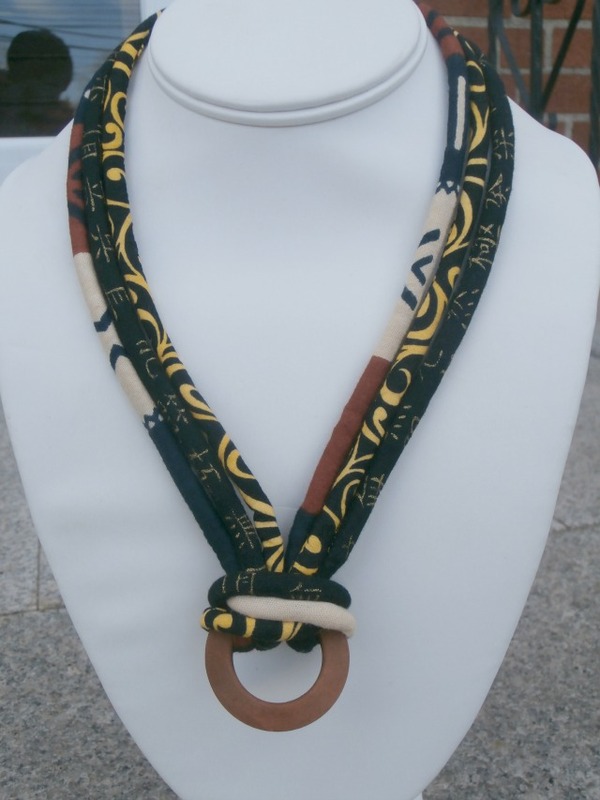 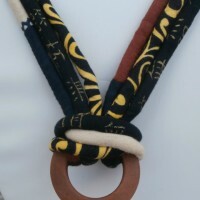 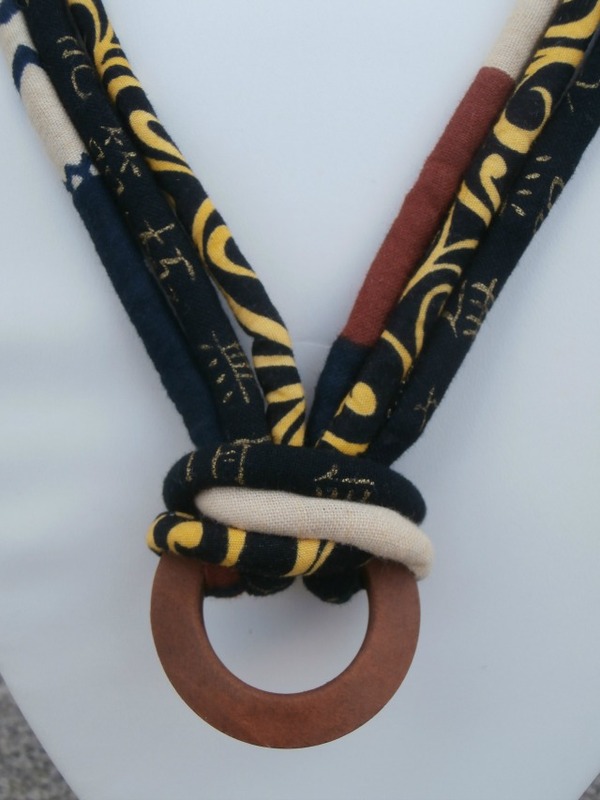 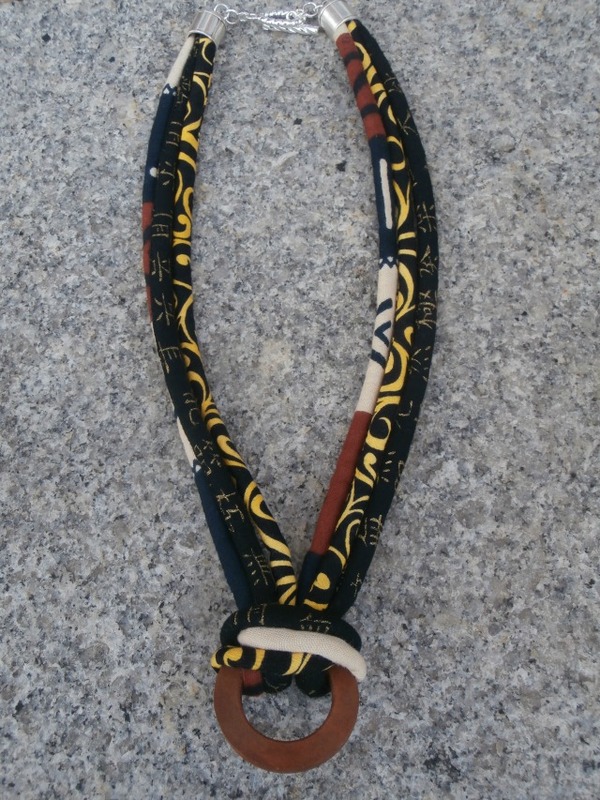 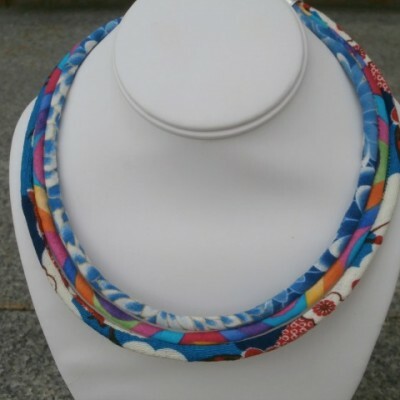 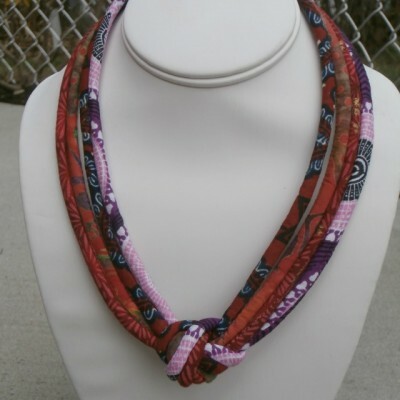 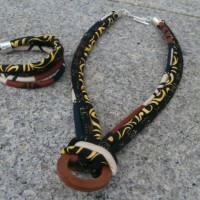 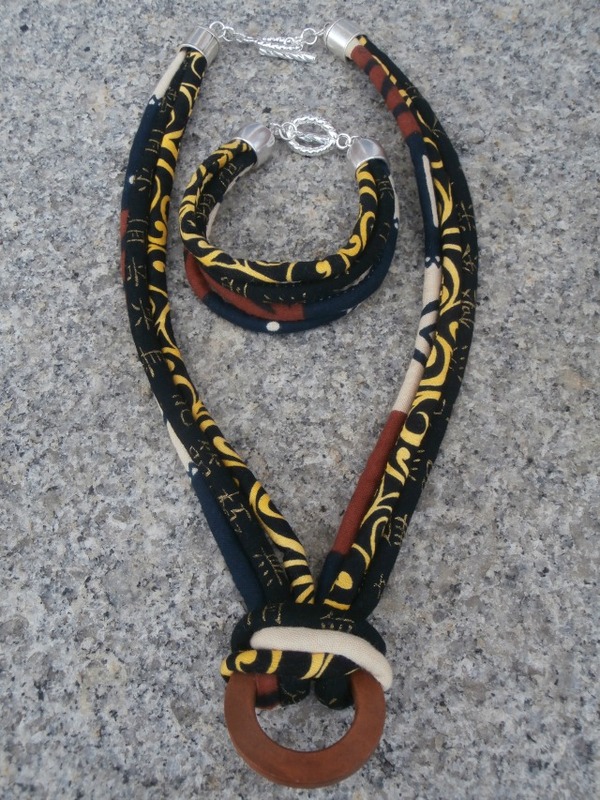 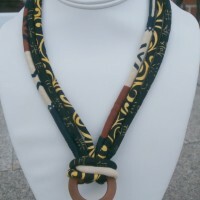 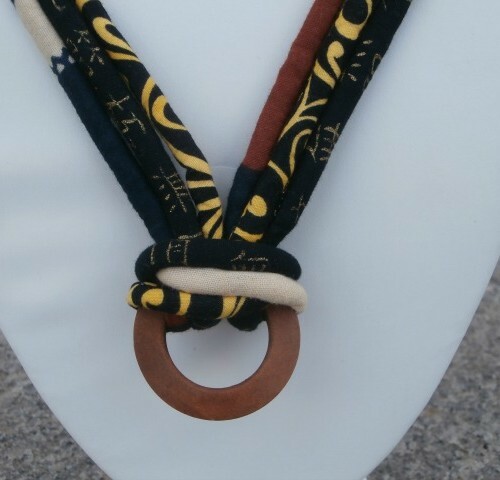 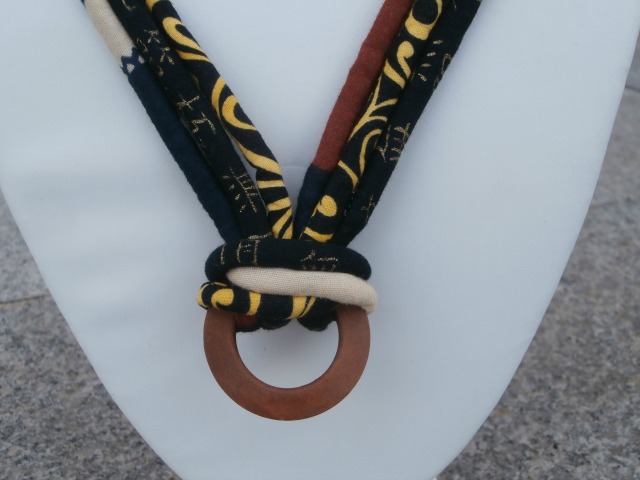 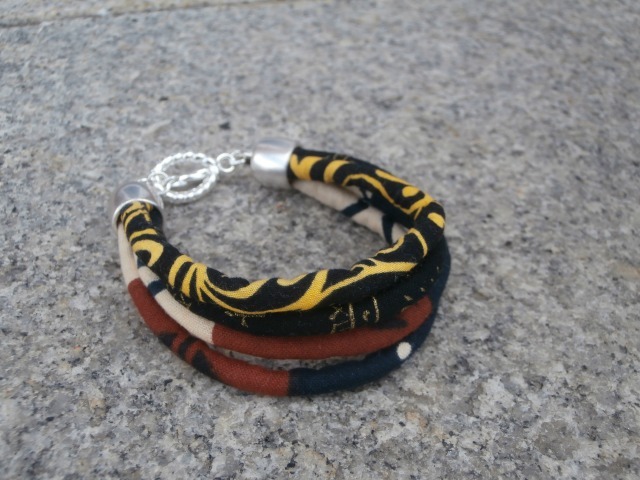 18 1/4″ Long three strand fabric necklace with matching bracelet. 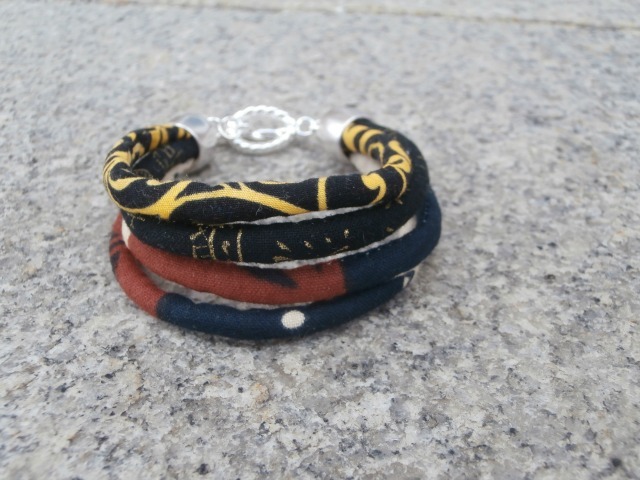 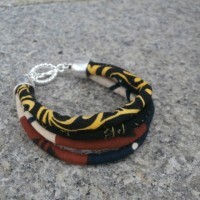 Bracelet measures 7 1/4″ long. 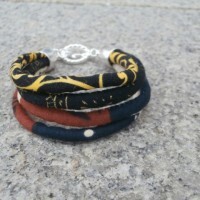 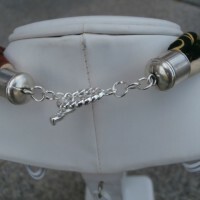 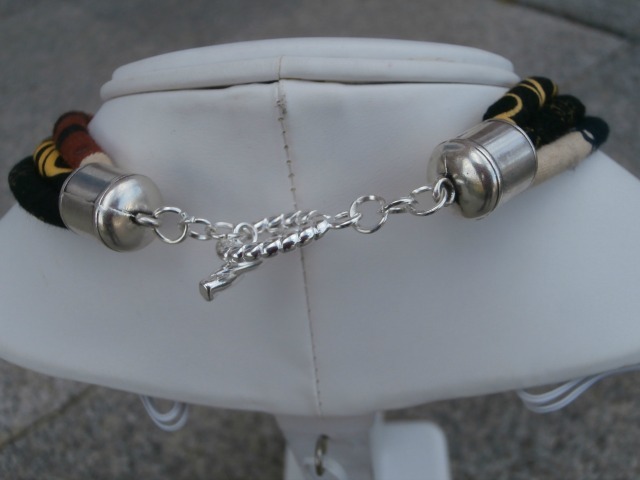 Both with silver plated toggle clasp. 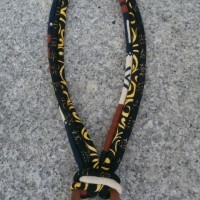 Multicolored fabric in colors of black, yellow, beige, brown. 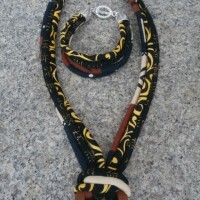 Be the first to review “Three Strand Fabric Necklace With Wood Pendant Set” Click here to cancel reply.